School of Power and Mechanical Engineering, Wuhan University/Wuhan, Hubei, 430072, P. R. China. With the increase in thermal power capacity, ultra supercritical units have become the mainstream of power industry. At the same time, with the improvement of the steam parameters and the lengthening of shafting, the production of steam flow excited vibration is frequent in the ultra supercritical units, which may seriously affect the reliability of the unit. 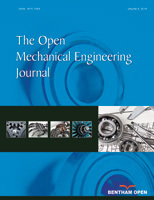 This paper has taken steam flow excited vibration of a 1000MW turbine as an example in accordance with the experimental and theoretical causes of steam flow excited vibration to solve the problem of steam flow excited vibration by the proposed treatment plan. This can greatly improve the reliability of operation and the units with high load capacity.